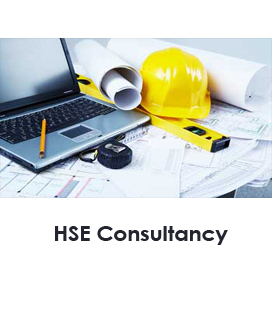 TRE provides HSE consultancy services under the leadership of Mr. Dennis E. King, a well respected Technical HSE Consultant & Fire Engineering Advisor experienced in developing and implementing HSE Studies and Safety Management systems. The TRE team have specific experience of assisting organizations develop their Health Safety & Environmental Management System (HSEMS) in line with Corporate, Shareholder, National and International codes, regulations and standards. Design & implement safety emergency service for onshore and offshore oil and gas field services. Development of Emergency Evacuation Plans for fire, explosion, earthquake, etc. Design and develop operational safety systems e.g. Firewater, Fire & Gas detection, Fire Suppression, Emergency Lighting & Signage etc. Conduct HSE & Fire Engineering audits and inspection, s which includes auditing ability of firefighting teams, fire warden training, assessment of site safety personnel and inspection of all related tools used during emergency conditions. Technical Royal Excellence strive to ensure that our clients organization are compliance with environmental requirements. We are a leading provider of environmental and social consulting services offering strong, innovative and practical advice through: licensing, survey and operations. TRE provide environment consultancy services Onshore & Offshore globally, populated to remote and environmentally sensitive areas, coupled with information and advice on the implementation of an environmental management system and the development of internal audit capacity. Technical Royal Excellence undertakes continuous development via monitoring all new HSE developments and initiatives Nationally and Internationally. TRE has successfully delivered consultancy service with higher customer satisfaction rates thought it’s proactive approach of implementing feedback data./ information, based on our “zero complaint policy”.